Barcelona: Lewis Hamilton set a track record to take pole position for the Spanish Grand Prix on Saturday. Hamilton had a lap time of 1 minute, 16.173 seconds at the Circuit de Barcelona-Catalunya, finishing only four hundredths of a second ahead of Mercedes teammate Valtteri Bottas. Sebastian Vettel, who had won three straight poles, will start third with Ferrari, ahead of teammate Kimi Raikkonen. Hamilton hadn’t taken pole since the season-opener in Australia. A good starting position is crucial in Spain as there are not many overtaking opportunities. 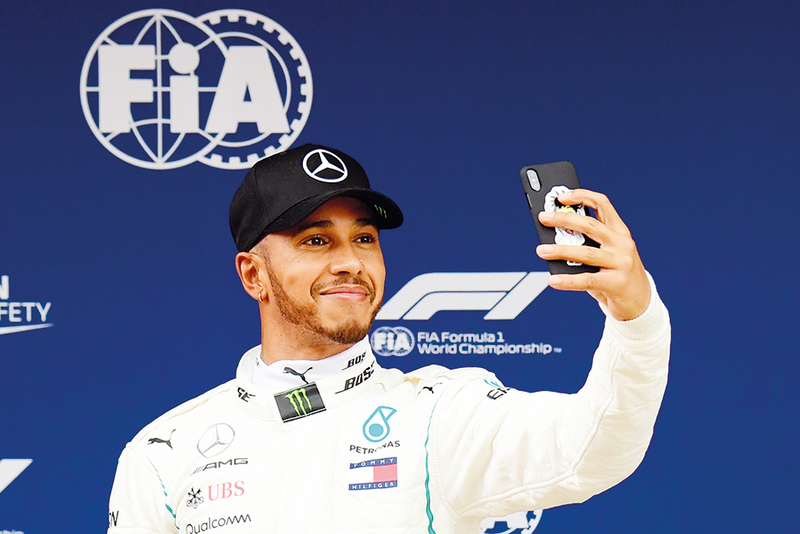 Hamilton will be trying to win his second race in a row and add to his four-point lead over Vettel in the drivers’ standings. Vettel won in Australia and Bahrain, while Ricciardo was first in China and Hamilton triumphed in Azerbaijan. Mercedes had been fastest in all three practice sessions this weekend, with Hamilton and Bottas leading the timesheets. Most teams brought significant updates to Barcelona, which marks the beginning of the European season in F1. Kevin Magnussen will start seventh with Haas, while teammate Romain Grosjean is 10th on the grid. Both Spanish drivers made it to the final qualifying session, with two-time champion Fernando Alonso eighth with McLaren and Carlos Sainz ninth with Renault. Raikkonen was on a new engine after a problem with the one he used on Friday. There was some disquiet with the rear-view mirrors Ferrari mounted on the halos, with motorsport governing body FIA looking into a possible breach of regulations. Brendon Hartley of Toro Rosso did not make it to qualifying because the team was not able to fix his car after a crash in the final minutes of Saturday’s practice session. He clipped the grass on the entry of a turn and span into the tire barrier, significantly damaging the car. The rear end fell apart as the car was being hoisted by a crane. Lance Stroll continued to struggle with Williams, going off track in the final minutes of qualifying. He had also gone to the gravel in practice earlier on Saturday and on Friday. Race organisers said additional security was implemented after several cars were broken into at a closed parking lot for the media at the track.